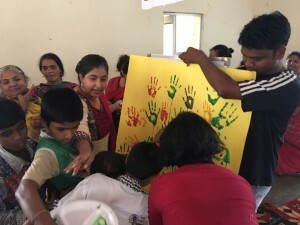 The concept of intergenerational workshop is to connect the old and young through activities, to build a bridge among the generations and also share their experience as well as recognizing and learning about the skills and insights of younger people. Sharing their life experiences with the younger generation can help older adults feel a greater sense of fulfillment and gives them a sense of self-worth and build their self-esteem, and also guides the younger generation to the right path. Intergenerational understanding can be promoted to bridge the generation gap and enhance generational re-engagement in the family, community and the wider society. 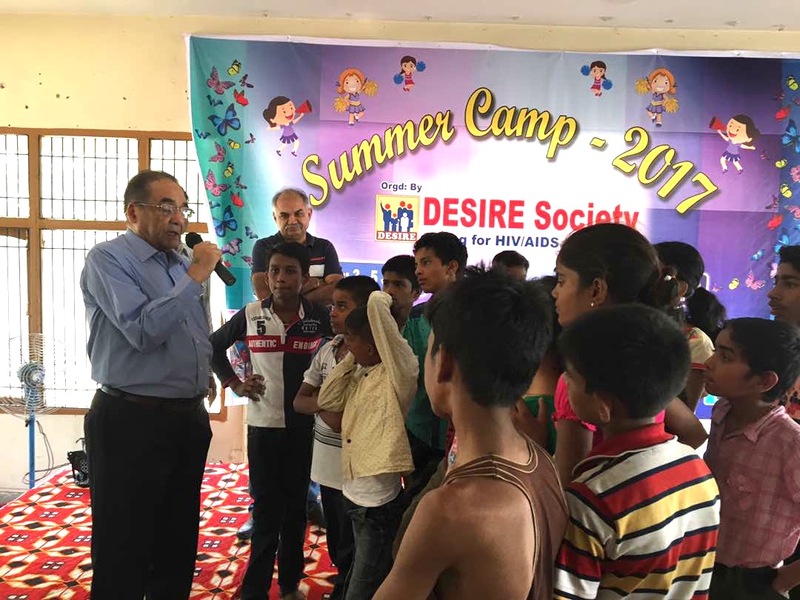 When we discussed the idea of joining these kids for their summer camp, our members happily came forward and showed eagerness to spend time with these kids. The day was planned with a wide variety of activities for both the generations to mingle and make it a day to remember. Ice Breaking Activity: We started the day with a group prayer conducted by one of our members. Then a mind, body coordination activity warmed up the participants with great enthusiasm. 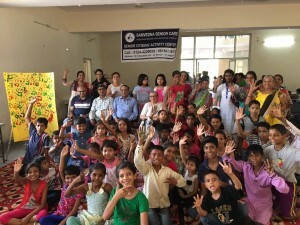 It was fun to see all age groups participating in this. Choosing Careers: Grandparents are likely to be important resources for the “funds of knowledge”. They shared their experiences and guided on how to achieve career goals. One of our elderly, who is a teacher by profession, spoke about the importance of education and encouraged to make education as priority. The kids listened very attentively to what was being said and were inspired to diligently pursue their career. Hand Painting : The last activity for the morning was hand painting, where we made a tree with the imprints of hands of both the young children and the elderly. It was wonderful to see how both generations came together and completed the picture. Bringing together generations to understand each other is very important to develop and broaden the societal aspects, where both young and old can live together with some appreciation of each other’s needs and aspirations. With our General Well Being Services we aim to raise the quality of life of seniors, specially those who may have limited mobility and social interaction due to various constraints. Our interactive programme keeps them active and engaged through physical, mental and social activities, all in the comfort of their home.